Watch and learn: The war for talent that obsesses tech companies is intensifying and is about to spread economywide. After almost nine years of mostly sluggish expansion, the U.S. economy has shifted into a higher gear and is creating jobs at a record pace. “The new year has started with a job market as robust as any in recent years,” reports the Korn Ferry recruiting firm. Indeed.com, the most widely used job site, says, “Get ready for a hiring boom.” With the labor market tighter than it has been in decades, workers who’ve been yearning to change jobs finally have their moment. Forecasters are highly confident of the coming boom because they’re looking at simple economics. About 6 million jobs are open at U.S. companies, near an all-time high. Yet employers are filling jobs at the slowest rate in three years, unable to sign the employees they need as more people find work and stop looking. Growing demand, shrinking supply—that’s the formula for rising prices, known in the labor market as pay. 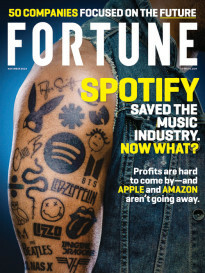 Fortune's Feb. 1, 2018 cover. Some recent statistics on demand have ticked down slightly but remain within the range of the past few months. Even if the market eased a bit, it would still be historically tight. Unemployment, at 4.1%, is the lowest since the economic boom that crested just before the 2001 recession. The Fed had long considered a rate of 5.6% to represent “full employment”; when it’s lower, anyone seeking work is assumed to be simply transitioning to a new job. The Fed revised its full-employment estimate down to 4.6% last year, by far the lowest ever, but with unemployment now well below even that, relatively few people seeking a job are unable to find one. And that’s in the economy overall. Among knowledge workers, managers, and other businesspeople, unemployment is far lower. For workers with a bachelor’s degree or more, the rate is just 2.1%. In management occupations it’s 2%, and within that category, unemployment in “business and financial occupations” as measured by the Bureau of Labor Statistics, is a near-invisible 1.7%, equaling the lowest unemployment rate among all job classifications economywide. 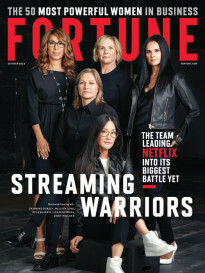 “Right now the job market for professional, leadership, and new technology jobs is white hot,” says Josh Bersin, a principal at Deloitte Consulting and a longtime HR thought leader. For businesspeople looking to jump, now is a long-awaited chance to find a better employer and maybe notch a substantial raise. As for the latter, even that seems to be changing in the new job market. In private industry, says the Bureau of Labor Statistics, wages and salaries rose at 2.6% for the 12 months ended September 2017—20 basis points above the rate the prior year and notably higher than what we saw in the first half of the decade. That recent upswing is just a start, however. Economists widely expect that pay will continue rising across the U.S. in 2018—and likely accelerate for management roles and other professional fields. Compensation, indeed, is already rising smartly in cities where unemployment rates have plunged as low as they are in business occupations. In Minneapolis, for example, where unemployment was recently 2.3%, pay is rising at a 4% annual clip. Here, as with much else in business, the tech sector has blazed a trail that’s likely to wind across the corporate realm. Google (googl) once offered a staff engineer $3.5 million of restricted stock to turn down an offer from Facebook (fb), TechCrunch reported. (The engineer took the deal.) No, the fights over top candidates won’t grow quite so fevered in other industries, but a tussle for talent there will be. And employers are taking unusual steps to attract recruits. Some are relaxing their zero-tolerance drug policy because they’re “desperate to fill open positions,” the Society for Human Resource Management (SHRM) has found. Workers in safety-critical jobs will still be tested, and some, such as airline pilots and truck drivers, are governed by federal rules. While evidence is anecdotal, some employers seem set to continue drug testing all applicants and taking a hard line on use of opioids, methamphetamine, and cocaine. But barring marijuana use eliminates a lot of applicants. With 30 states and the District of Columbia having broadly legalized marijuana in some form, at least a few employers are reportedly treating it like alcohol: Don’t show up impaired or get that way on the job, and you’re fine. Sackett is raising a major question for job hunters. As employers are forced to confront what really makes employees successful today, what skills and traits are they seeking in candidates? This may be a great environment in which to find a new job, but you’ll likely still face competition. On what basis will you be judged? Résumés probably won’t disappear anytime soon, so yours will somehow need to convey those traits and abilities. Other in-demand qualities are more specific. We hear every day that digital skills are highly valued, and it’s certainly true—but the market for those skills extends far beyond software makers and dotcoms. Every company is a technology company now, which means that in every kind of business, candidates with digital skills will increasingly get the best jobs. For example, the Robert Half staffing firm has identified the hottest jobs in the creative and marketing fields for 2018. The top five? Content strategist, digital marketing manager, digital project manager, digital strategist, and marketing analytics manager. You’ll see the same trend in job postings at Glassdoor.com over the past five years. The industry with the sharpest increase in software jobs listed on the site isn’t the computer biz, but rather retailing. The takeaway for job seekers is unmistakable: Every industry is digital, and every gig requires some of that expertise. Many companies are thus coming late to a realization that dawned on Google almost a decade ago, when Laszlo Bock was running HR. “We were hiring on the wrong criteria—SAT scores, schools, majors,” says Bock, who has cofounded a tech firm called Humu to help leaders, managers, and other employees be more productive and happier. “We did a three-year study proving those were not predictive of job performance.” What predicted a leader’s success far better than tech skills or test scores, they found, was simply making a human connection with followers, being interested in their lives and careers, and being accessible to them. Employees were happier, more productive, and less likely to leave. One more suggestion: Do it now. You never know how long white-hot markets are going to last.